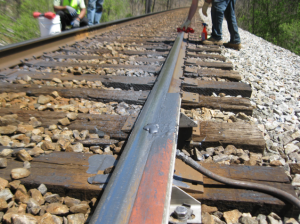 The Federal Railroad Administration (FRA) is soliciting applications for $10 million in competitive grant funding available to states to improve highway-rail grade crossings and track along routes that transport energy products, such as crude oil and ethanol. 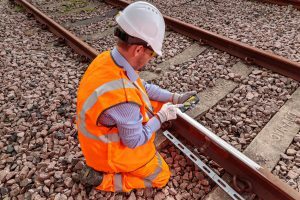 The guidelines for the grant applications set by the FRA encourage states to include innovative solutions to improve safety, especially at highway-rail grade crossings. The funding is part of the Railroad Safety grants for the Safe Transportation of Energy Products (STEP) by Rail Program. 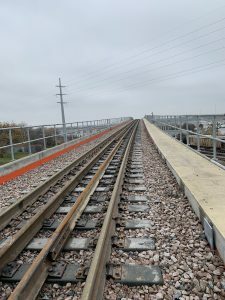 "The U.S. Department of Transportation has made increasing safety at highway-rail grade crossings, especially along routes transporting energy products, one of its top priorities," said U.S. Transportation Secretary Anthony Foxx. "This money allows the department to support innovative ideas and solutions developed at the local level and I encourage states to apply for this funding." Highway-rail grade crossings collisions are the second-leading cause of all railroad-related fatalities. Last year, 269 individuals died in these collisions. While the number of fatalities has decreased for the last several decades, this number increased last year for the first time this decade. FRA notes that highway-rail grade crossing accidents are frequently the result of a driver's lack of awareness of a crossing or an oncoming train or a driver's attempt to "beat the train." Earlier this year, FRA ramped up its campaign to prevent collisions and save lives at highway-rail grade crossings through greater education, stronger enforcement and smarter engineering. To accomplish this, FRA developed key partnerships and has: worked with Google and other technology companies to integrate FRA's grade-crossing location data to provide audio and visual alerts when using turn-by-turn navigation applications; partnered with local law enforcement agencies to increase enforcement at railroad crossings and supported research on grade crossing technology. 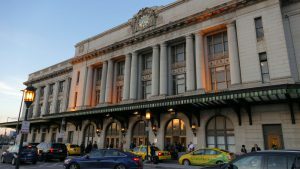 "Most of these deaths are completely preventable and that is why the Federal Railroad Administration has redoubled its efforts to reverse last year's upward trend. These funds will allow states to take innovative ideas and make them a reality to increase safety and decrease fatalities," said FRA Acting Administrator Sarah Feinberg. Through the GROW AMERICA Act, the U.S. Department of Transportation (USDOT) has proposed creating new grant program that would make $250 million available to local communities for highway-rail grade crossings, as well as other critical rail infrastructure projects. 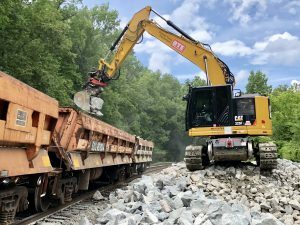 In addition, USDOT has proposed continuing Federal Highway Administration's $220-million per-year dedicated grant program for highway-rail grade-crossing projects. Earlier this year, USDOT released its rule that raises the bar on the safety of transporting crude oil by rail. The rule requires stronger tank cars and 21st century electronically controlled pneumatic brakes that activate simultaneously on all tank cars, reduce the distance and time needed for a train to stop and keep more tank cars on the track if a train does derail. USDOT has also required that railroads transporting crude oil notify State Emergency Response Commissions of the movement of crude oil through individual states.